In all honesty Legion is still pretty much dominating my play time. Play time that has also been limited by my project work this month with the zBrush experiment. That doesn't mean that I didn't manage to sneak in some time with some games, albeit not strictly speaking a brand new one. I finally got around to trying the recent adaptation of Games Workshop's old Battlefleet Gothic game. It had been on my back log for a while, and with the release of the latest DLC I decided to take some time to try it out. This one was a very pleasant surprise. It's a delightfully old school RTS, that doesn't try to be anything it's not. It is effectively a naval simulator and wisely chose not to feature any y axis free movement. Yes, it certainly makes it feel a little less like 'space' combat, but it does mean you end up with a much more understandable game. 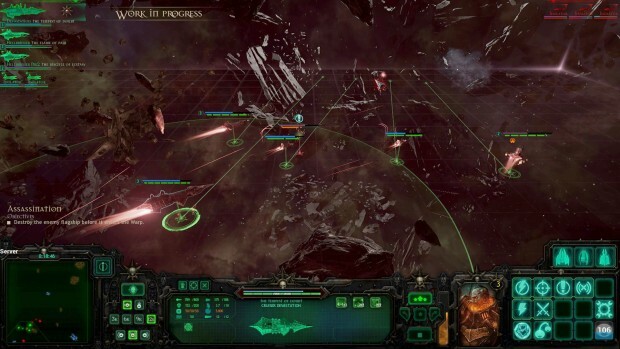 It allows you to focus on the tactics and the strengths and weaknesses of each ship without worrying about elevation, or having to navigate ranges in a three dimensional space..
Each ship has a set of abilities that allow for there to be smaller moment to moment decisions for the player alongside the all important positional tactics. You can choose to specialize your ships for various roles. 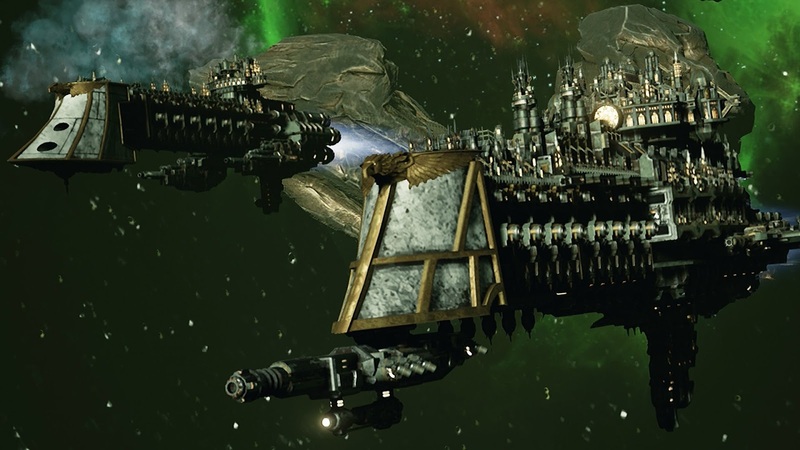 You can beef up their damage, their armor and shields, or turn them into support ships that can repair or boost your other ships. The different races all play differently enough to warrant experimentation, and they managed to capture the essence of each race pretty well. It feels like a Warhammer 40k game. The battles scale up nicely, with the early individual jousts building up to larger fleet engagements. Things never get overwhelming though, there are no battles with hundreds of ships here. It reminded me a lot of the Homeworld games, which is about as strong a compliment as I can give. It does start to pale a little towards the end of the campaign once you have built your ships the way you want, and mastered your tactics. The multiplayer and skirmish modes allow you to just dive in and play a quick game against the AI or another player. This is one I can easily recommend if you like some old school RTS action. It's not going to win any awards for innovation, but it does what it sets out to do very well. Not sure what this month will bring. I know I'll be playing FFXV at the end of the November, but until then I might raid the back log again and see what I can get through!